Think all RV LED lighting products are the same? THINK AGAIN! The vast majority of LED lighting products being sold to the RV market today are designed for indoor use. They're not engineered to withstand the harsh outdoor environments where BOOGEY LIGHTS® products have been time-tested on everything from motorcycles to boats since 1989. Checkout this video to see a side-by-side comparison of BOOGEY LIGHTS® RV LED lighting products with the leading RV LED awning product sold by most RV dealers and online camping stores. We think you'll agree the differences are significant. The LEDs and electronic components we use are of the highest quality manufactured specifically for BOOGEY LIGHTS® to our precise specifications. We source our product components directly - no middle man, jobber or distributor. We only use quality, high-intensity super-bright 5050 LEDs manufactured by the world's leading manufacturers. This is why our LEDs are so bright compared to the dull and dirty LEDs found in the leading RV awning light products. But there other differences too including hard-wired power leads, high-quality PCB and thicker 3M® adhesive tape. The quality of the materials used in the manufacturing of LED light strips and controller components is important particularly when used outdoors on a vehicle that moves, flexes and vibrates. Heat, cold, wind, rain, dirt and vibration are major factors that must be taken into consideration. If you view the video on this page you'll quickly see why BOOGEY LIGHTS® RV and Camper LED lighting products are superior to any other RV lighting product on the market today. If you take pride in your RV and want to add a high quality, robust, state-of-the-art LED product that not only enhances your RV's look but also adds functional lighting you control, BOOGEY LIGHTS® RV, Camper and Trailer LED Light Kits are the answer. 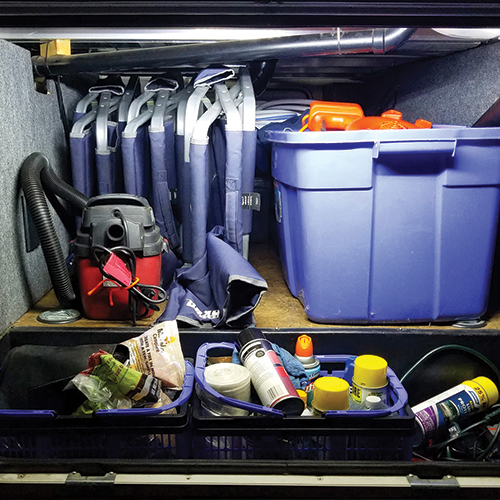 For an indepth look into why BOOGEY LIGHTS® RV Lighting products are the absolute best RV lighting products, visit Why Buy BOOGEY LIGHTS® RV & Camper Lighting Kits.